H ow do we get people to change their behaviour? For a start, offer a solution. 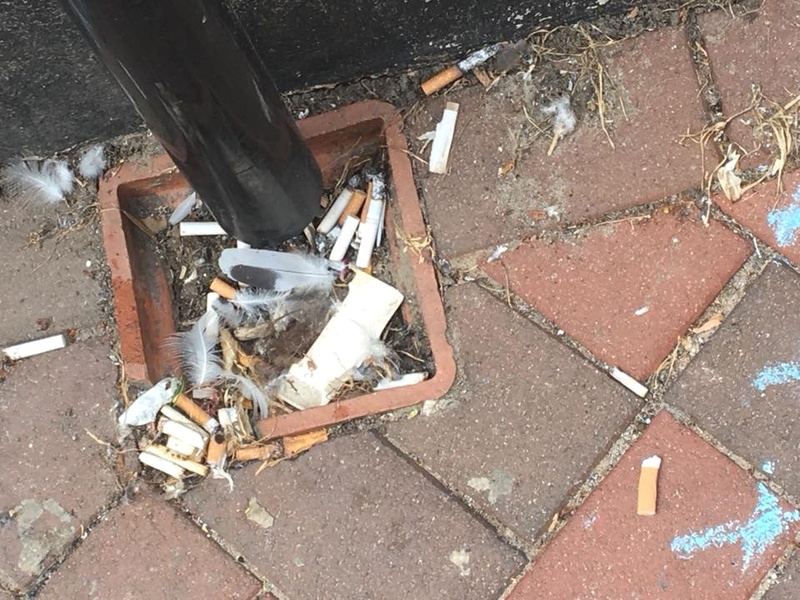 At the places where the litter is most seen (by McColls in town is a hot spot – clearly workers from other shops nip round the corner for a cheeky fag on their break, and there is nowhere to put the butts so they get dropped). Putting a cigarette disposal bin on the wall right there seems an obvious solution, plus one in the market square by the benches, by any bus stops (managed for Stagecoach by EDDC), and all along the sea front, where soulful people stand and gaze wistfully out at the beautiful ocean, while dropping their fag butts on the ground to be blown directly on to the beach. Obviously having the bins isn’t enough. They need to be emptied regularly and securely. The bins in the market square have disposal units built in to the top, but according to local shop owners the refuse parts of the bins are emptied without emptying the ashtray part on top, so as they are tilted sideways to gain access to the bin bag, the cigarette butts all fall out…this seems insane, almost criminal, to me. Terracycle are now offering a free recycling service for cigarette detritus: “TerraCycle and JTI have partnered to create the Cigarette Waste Programme, a free recycling programme for cigarette waste. All the waste collected through the programme will be recycled into a variety of useful plastic products such as plastic lumber and boards that can be used for items ranging from construction holding, signage and table tops. 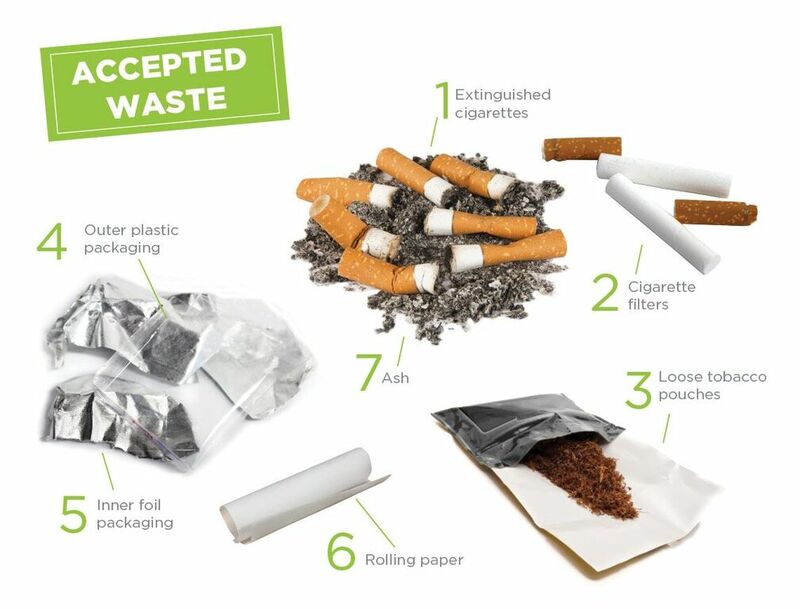 Any remaining tobacco or paper will be recycled as compost – nothing will go to landfill.” [https://www.terracycle.co.uk/en-GB/brigades/cigarette-waste-brigade] So all we need to do is encourage the pubs, public at home and EDDC to collect them and we can send them from a central point, freepost. Signage and promotion of this will also highlight the pollution problems that people seem unaware of. I have passed this onto Chris Holland at Sidmouth Town Council to see if we can get it taken further. It seems a no brainer to me. 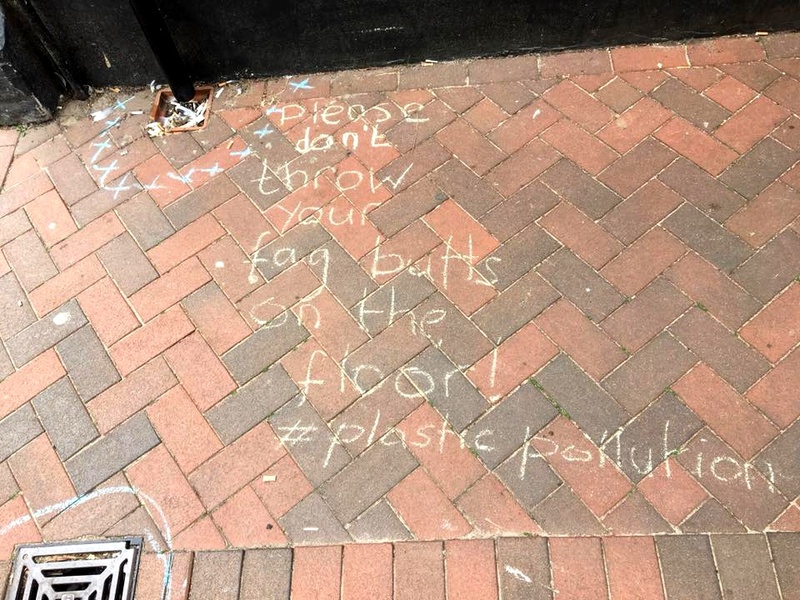 This entry was posted in Clean ups, Publicity, Town Action and tagged bins, butts, cigarette, drains, EDDC, gutters, pollution. Bookmark the permalink.